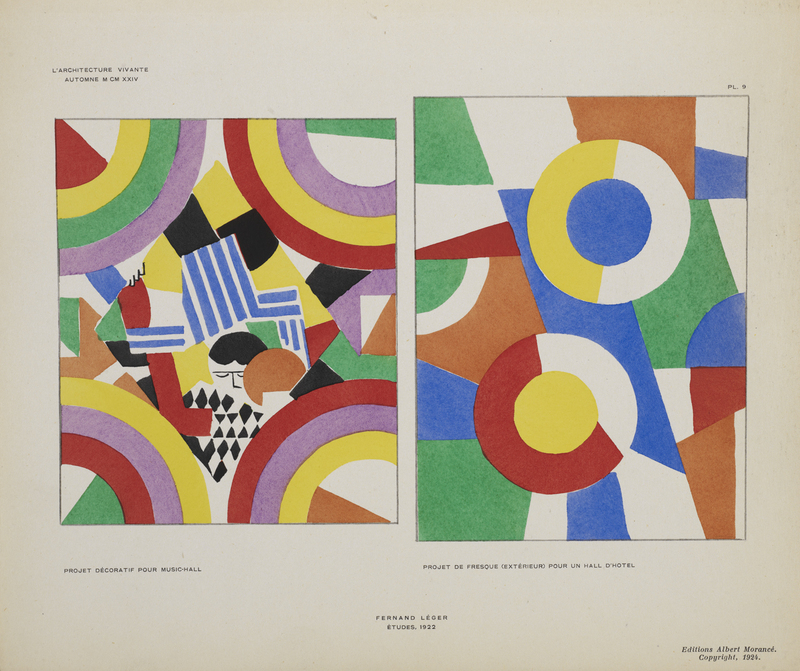 Image Credit: Fernand Léger. Fresco design for a music hall (left) and Exterior fresco design for a hotel (right). Plate 9 from L'Architecture Vivante, Fall/Winter 1924. Avery Classics AB Ar433. Avery Architectural & Fine Arts Library, Columbia University. This entry was posted in Avery Classics Collection, Avery on the Road on November 6, 2013 by Ted. 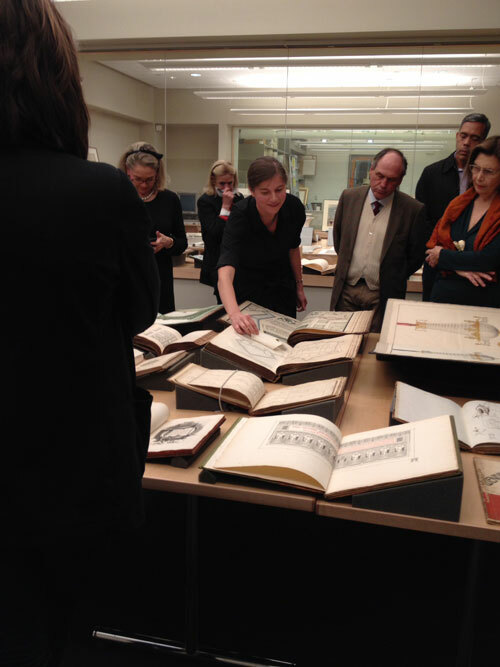 Avery welcomed members of the Sir John Soane's Museum Foundation to a display of Selections: Avery Special Collections. Avery Library and MoMA were recently honored at the Sir John Soane's Museum Foundation gala for their co-acquisition of the Frank Lloyd Wright Foundation Archives. The Soane's gala and Avery's Selections mark the beginning of a series of programs and events aimed at strengthening connections between these two architecturally-focused organizations. This entry was posted in Avery Classics Collection, Drawings & Archives, Exhibitions on November 1, 2013 by Ted.